Are you thinking about designing or re-modeling a space in your home? The first step you need to take is to find your "design style" so you at least have a direction you want to move towards in your design. If your struggling to find your style start doing a little personal research. Look at items your already have in your home and decide what you love and what you wouldn't mind parting with. Often you will find that what you currently own describes your design style. For example, you may have a lot of simple clean furniture and a relatively uncluttered space, which would place you in a more "minimalistic" style category. Or you may find that you are drawn to a softer color pallet and enjoy playful French inspired fabrics and art work. 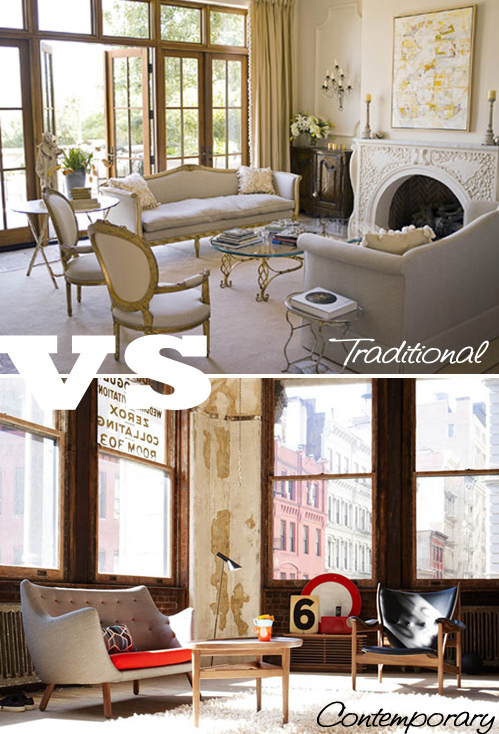 If so, your design style is probably more on the traditional shabby chic side. If you are still completely confused and are finding yourself saying "I hate everything in my house," you may have to work a little harder to find your true design style. I like to tell people to look through books and magazines and pick out features from different spaces that they are attracted to. You may even come across a photo where you only like 1 thing about that space, but thats o.k. Start to put together collages, with colors, furniture, fabrics, and art work that catch your eye and eventually you will discover what your personal style is. If you are like me, you may find that you like many aspects of different styles. If this is the case, you can have a little fun and mix styles together, creating your own personal look throughout your home. Now, if your still feeling lost after doing all of that, you can take a design style test HERE, and if that doesn't help take a deep breath and at least treat yourself to one of THESE. I love the idea of creating your own personal look, it's so important to feel comfortable in our own space. You can also use cheap blinds for design.